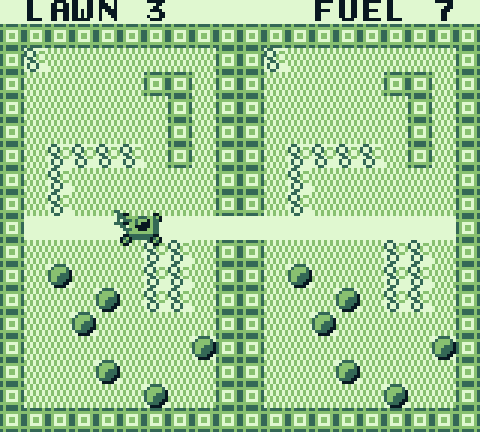 This was my first attempt at a Gameboy game! Heavily inspired by the NES homebrew game Lawn Mower. 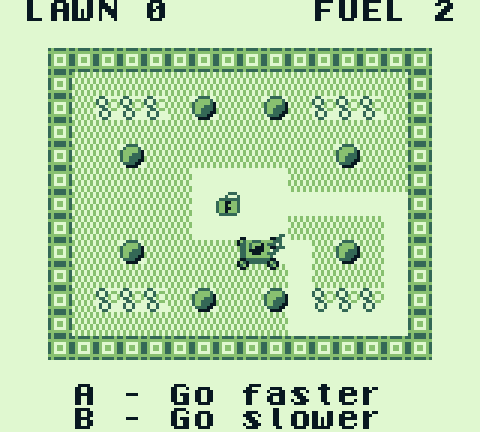 This download is a Gameboy ROM file, best played on the emulator BGB. Set up your keyboard / gamepad controls through Rightclick->Options->Joypad, load the ROM and you are good to go! 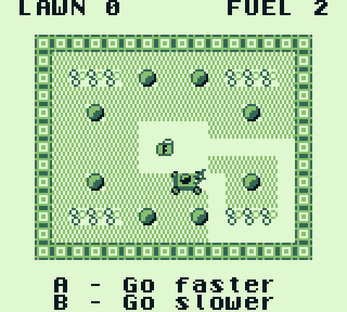 Looks like you are the master of GameBoy games :) I hope to see more GB-like games from you soon!